Penny Sensei began her training in 1980, captivated by the beauty of the physical movement. Now, after more than three decades of training, she is still amazed at how "every movement reverberates with significance on many levels at once." Penny's primary teacher has been Linda Holiday Sensei. In addition, Motomichi Anno Sensei, 8th dan, Shingu, Japan, and Mary Heiny Sensei have also been important teachers for her. Penny relishes the art of teaching and strives to create an atmosphere of mutual respect and support in the dojo. In addition, she is a physical therapist by profession and she uses her awareness of human body mechanics to help make aikido more accessible to a wider range of people. 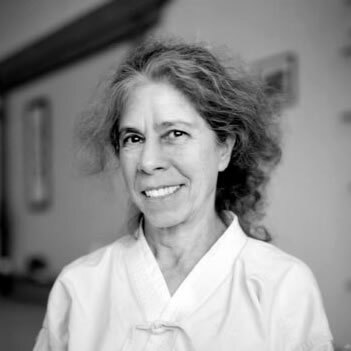 Penny has taught aikido seminars and classes in Germany, Finland and California. "Not long after beginning to practice, I heard aikido described in terms that chimed with what I had initially been looking for — 'exercise with meaning.' That meaning has been unfolding in my experience on and off the mat ever since." 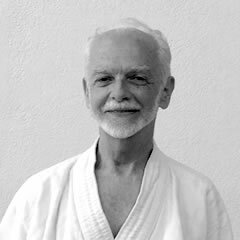 Introduced to aikido by a dancer/performance artist friend, Kenneth has practiced since 1978 (with a six-year hiatus in the '80s), including sustained training with senseis John Saviano, David O'Neill, and Penny Sablove. Kenneth has taught aikido in San Franciso for more than 15 years, at Aikido In and Heart of San Francisco Aikido. He offered a for-credit course, "Aikido as a Critical Path," at California College of the Arts from 1999 through 2005. Art critic for The San Francisco Chronicle since 1985, Kenneth has also published two books on 20th century art.